Hey, there and welcome to my blog! I’d like to introduce myself. I’m Kandice – I’m a mom of two wild, happy, loud and full of energy little ones (Jackson-8 and Layla-6) – I feel I need to update this as they keep growing on me. You will surely hear about them, here and there if you follow along. I’m a Navy veteran- I served 5 years active duty in an FA-18A fighter jet squadron down in Virginia back in the 90’s, and then a few years in the reserves afterward. I’m a wife to my supportive husband who is often my muscle for heavy items and thief of my tools. I’m a retired NYPD Detective. 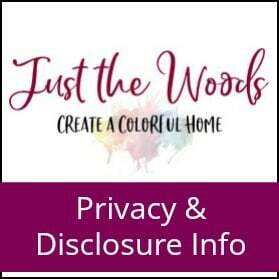 Lastly, I’m the artist behind Just the Woods, LLC. For those who know me, or those who have met me for the first time when picking up a piece, or even out and about- I’m often covered and I mean COVERED in paint. My clothes, my hands, my arms and sometimes even my face. Some would say (*my husband would say) I look like a hot mess, but that’s ok. I can be a little all over the place. Sometimes I think I have so many ideas in my head that I can’t keep up with myself. As far as starting a blog and what you can expect .. 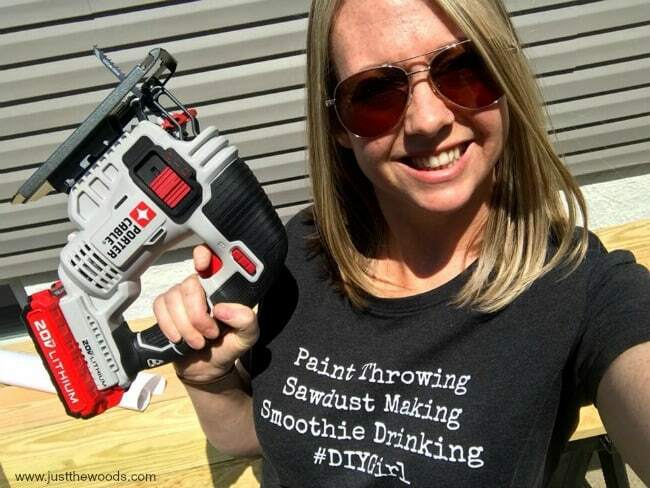 I can say a few things for certain – I use only safe, high-quality products, paints, sealers, stains, etc. There are so many products out there and I’ve found that one that works for me. I’ll share more as we move along. I do plan to share projects and some of the insanity that goes on behind them, the things that lead up to the final photos. I say insanity because my days are filled with screaming, baths, peanut butter and jelly, potty accidents, and wrestling kids in and out of car seats, oh and laundry, plenty of laundry. The majority of my work is done while the kids are at school. When people ask advice on how to do certain things or how to achieve certain finishes or different techniques, etc – the best advice I can honestly give is to make a mess, experiment, try something, anything, make a decision, Go Against the Grain and find your OWN style and go with it. I turned 21 in Key West and have done the Duval Crawl. I’ve lost my money in Las Vegas. I’ve spent a night in the Swiss Alps. I once took a train to Paris, from Germany with just a backpack and no plans. I’ve had 3 miscarriages and a failed IVF. I have a Bachelors Degree and I’m still paying off my student loans. I never thought I would have my own business. I start every day with a shot of apple cider vinegar. 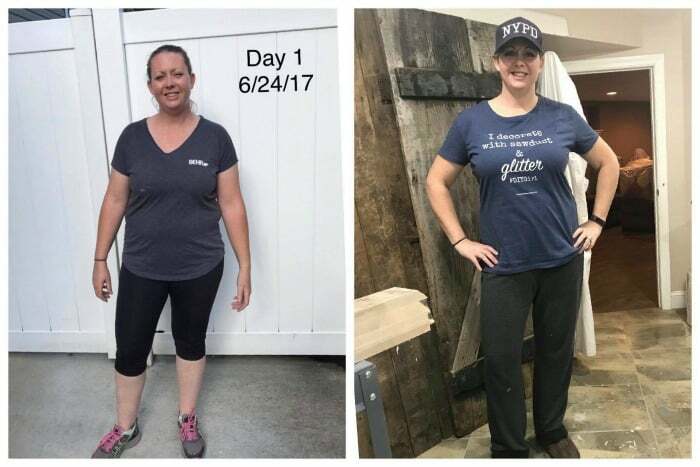 I go to the gym 4-6 days a week and love to run. I drive a pickup truck. I have an obsession for DIY shirts & running sneakers. Hello Kandice, I just wanted to say I think you are a talented artist who I just wonder, do you ever sleep lol. 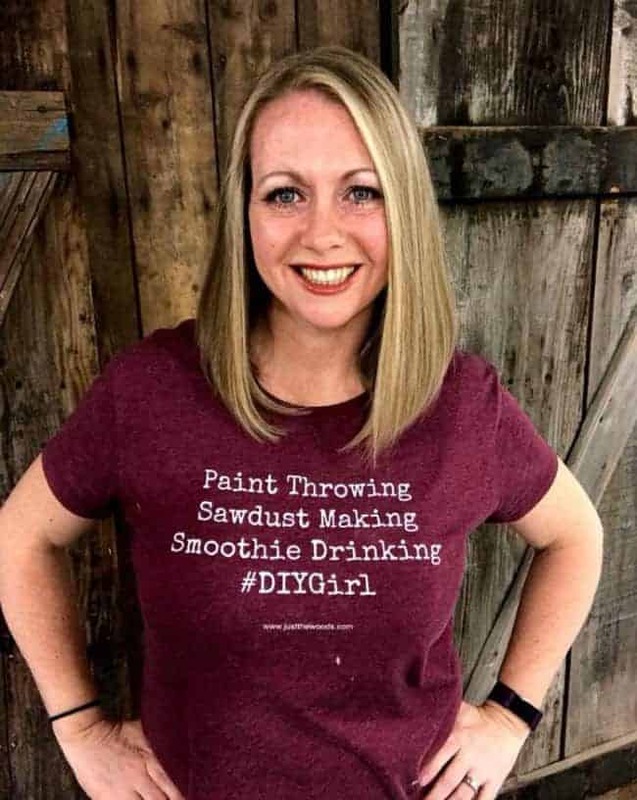 I have been looking at your work as I have looked at the other women’s work for the monthly get together thing you guys do.I love doing the painting, distressing, staining, etc with furniture. 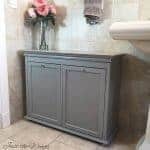 I want to learn more about doing these things so I am finding DIY’s how to’s and just tonight I have found more info on refinishing furniture, doing bath and kitchen cabinets to make them look like stone etc. Any way I just wanted to say I appreciate your input and knowledge on the things you do. It really spurs me on to achieve the things I want to do. You do beautiful work! 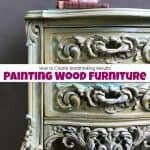 Just watched your clip on painting and glazing the reddish wood bedroom set with all the detail. Do you use a damp or dry cling on brush when you apply the ebony glaze? You do beautiful work! And Kandice, thank you for your service! It and you are much appreciated. I just read that you are retiring from the NYPD this month! Congrats! I know this means you will be refinishing more furniture. You have so many projects. Best of luck! I just saw this in my email! Congratulations on your retirement ! I thank you for your service to our country and to the NYPD. You are a fascinating and multitalented person. I love so many of your beautiful projects! 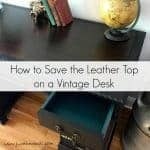 You’re blessed with such imaginative ways to repurpose old pieces. I wish I lived near you to be able to see and purchase some of your work! However, Texas is just too far away for a weekend drive! I wish you continued success in your new phase/ chapter of life. May you be blessed. I love paint as well. thank you for such a sweet comment Cynthia! Hi Kandice: I just discovered your blog and I am impressed! I have a question- I found you because I have a pair of tired rockers that look similar to the adirondaks that you painted with the paint sprayer. My question is- did you do any prep work before painting them? Mine have been sitting outside for about 10 years and I want to paint them. Any tips would be greatly appreciated! I knew it. I just knew it. I just got this e- mail telling me more about you and it confirms what i thought when i read or listened to you work. I knew you were ex- military or a policeman. I have allot of veterans and retired police officers in my family and i heard it and read it in your directness and no nonsense way of speaking. You have amazing skills and make beautiful products. I’m just stating out and am so glad i found you because i would like to learn the best from the best. You and the girls who put your products out together seem like the right bunch to follow so i feel very lucky to have started where i did. Thank you from my heart for your service both to my country and to my hometown. You will forever be my hero and greatly appreciated. God bless you. Hi there! Love your work and creativity. 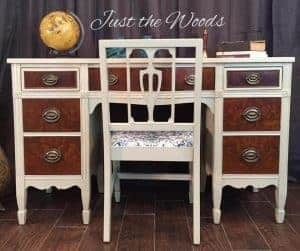 I have a bombe dresser and chest and just would love your opinion what you would do with it. Could I send you a picture of my room color and iron bed to see what you would maybe try on this furniture. I want something unique. 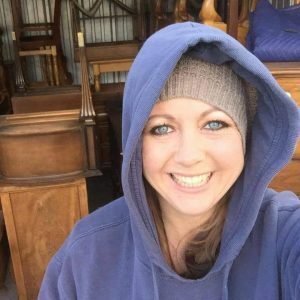 Hi Kandice, I am a part-time furniture artist and full-time nurse practitioner. My goal is to turn my hobby into a fun job when I retire ! I enjoy following you and love your work – very inspiring!. I really appreciate all of the helpful information. One question for you. I purchased the Dewalt orbital sander and wondering if I need an adapter to connect it to the Rigid Shop Vac ? Kandice: First I want to thank you for your great service to our country and to NYPD! You have a fascinating background and I really admire that you are not afraid to take risks. I could sense that you had either a police or military background, as you exude uncommon strength and confidence. I’m new to your group and so look forward to seeing your amazing work. Thanks again! I ran across your website while searching how popular it is right now to paint my farmhouse kitchen table legs black. My wife has been driving me nuts with this suggestion every other day, or when the current copy of HGTV magazine (or one of the 3 dozen remodeling magazines we get in the mail every month). The only reason I’m putting it off is that I spent about 2 months building this table by hand, and painting any part of it black just doesn’t make sense to me. 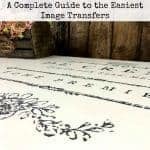 Then I caught your article on distressed black furniture, and some pics I was looking at of farmhouse tables with black legs. It seems to be pretty popular, but wanted to know if you can give me any insight into this. I’m basically wanting to know if you think this is just a fad, or will black furniture stand the test of tim? 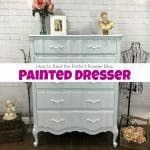 And, chunky farmhouse legs cost a bundle, about $200, so just wanted a second opinion before I go painting anything the color my dad used to tell me if I use, I better find another place to live (I was 14 and wanted to paint my bedroom ceiling black, he wasn’t having any of that). Anyways, I love your website. There’s so many DIY websites any more, I try to weed out the weak ones and save the best for future reference. Yours is a keeper! Thanks for the great articles that help retired guys like me constantly looking for something else to build, paint, remodel, landscape, paint again, and get to another one of my wifes endless list of projects that will keep me busy until the end of my time here. And even then, I’m sure she’ll be packing my tool bag for me to take along so I can finish her never ending project list!